Beauty Bakerie has been a brand I have wanted to try for a long long time. Ever since I saw a video of their lip whips online where they did not come off with water I knew I needed to have them! 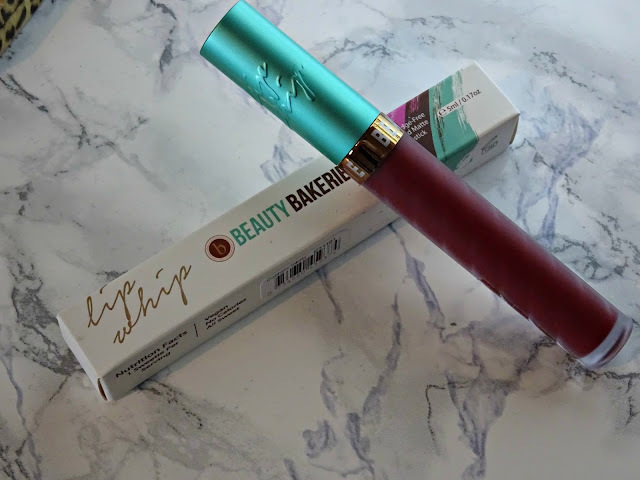 Besides the appeal of a liquid lipstick that stayed put, was cruelty free AND vegan, the Beauty Bakerie Lip Whips also look beautiful with the twisted glass design and turquoise lid and that little pop of gold. The applicator is nice and small, with an angled tip which means you could, with some practise, get a really precise sharp line, however the formula is pretty thick and sticky in texture so it will take some getting used to. I found it didn't slide across the lips as easily as some of my other liquid lipsticks. The colour I have in Cranberry Stiletto is absolutely beautiful its a deep berry red with slight pink tones to it. The formula of the Beauty Bakerie Lip Whips is a lot thicker then I am used to and because of this I found it could go on a bit streaky. I had to really work in some places to get an even colour, it is also important to have really good conditioned lip so make sure they are free from fry skin or cracks first. These Lip Whips will show up any imperfections. I found the staying power ok, it did tend to crumble in the middle of my lips especially after drinking or eating but it was nothing too bad or noticeable. HOWEVER the absolute worst part about these is removal. I had asked a lot of people how to remove then, is an oil based cleanser enough? Do I need the Beauty Bakerie remover will coconut oil work just as well? Everyone I had spoke to said coconut oil would remove this no issues, however all I will say is thats a lie! 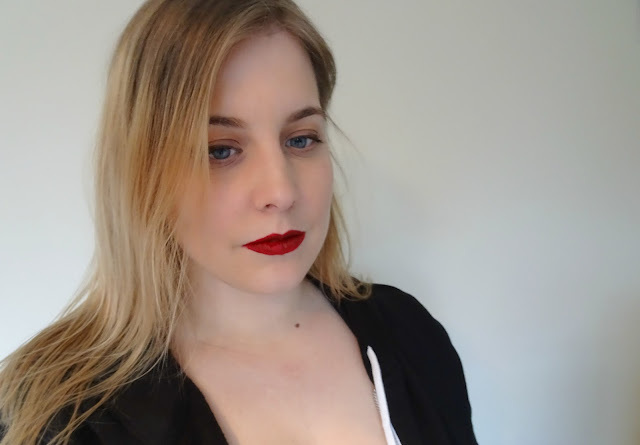 I have red lipstick smeared everywhere that stained (including all over my hands) it too two rounds of coconut oil, a makeup eraser towel, and a few cotton pads with micellar water to fully walk away from the red staining. Afterwards my lips felt really dry and delicate so I had to make sure to smother them in lip balm! 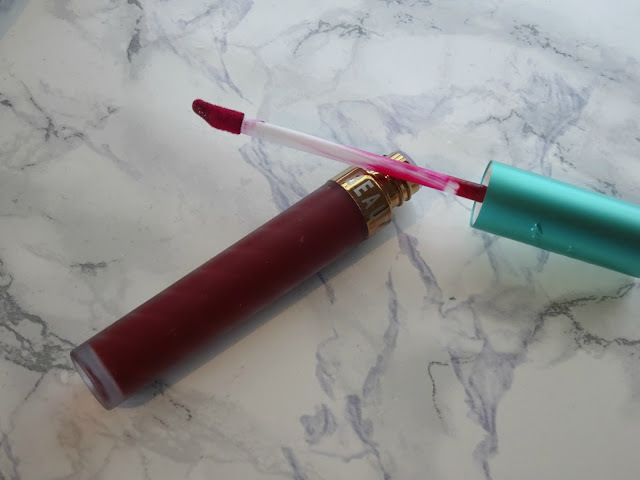 I am not sure what to think about these Lip Whips I feel I had them hyped a bit and they do not live up to my expectations, and although the colour is beautiful, and the packaging is perfect, I know I will not reach for this and the application is not the best and removal is practically a nightmare!